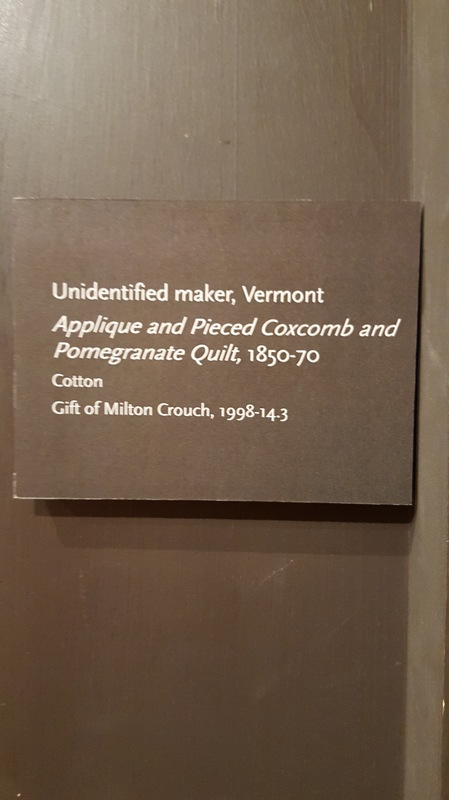 I had a successful, FUN trip to the Vermont Quilt Festival. 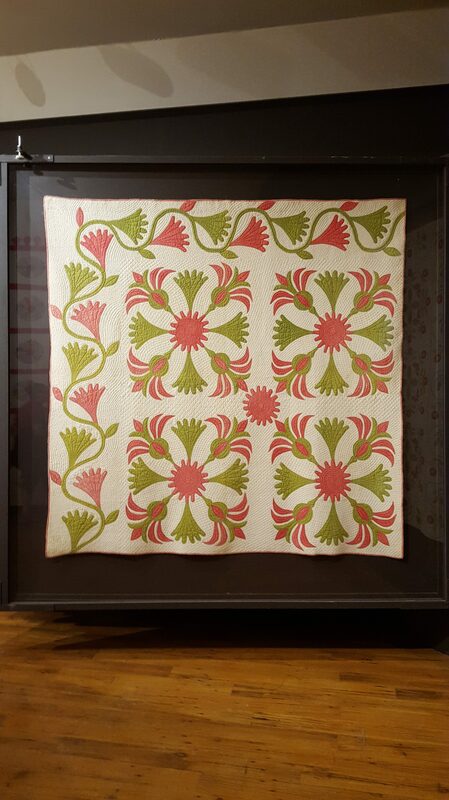 Great to see friends and quilts. It only took an extra 4 hours to get up there. A couple quilt shops and Vermont Country Store were must do’s on the way! And I followed my tip last week…I bought some fabric or made a purchase at each stop! Take a look at my two favorites below! Be sure to read the bit about “turkey red”. LOVE the border on only two sides! My guess is the bed the quilt was made for was against a wall. What do you think? Who ever said it has to be on all sides?!? Lets talk summer quilts… What batting will you use? Or no batting? I’m trying a “washable wool” by “Quilter’s Dream Batting” for the first time. It is nice, light and thin. It has some loft when it is quilted. My go to favorite is 100% Bamboo by “Winline.” I love how thin and light it is. Great hand and washes to a soft drapy quilt. How about using flannel? It will be light and super thin. 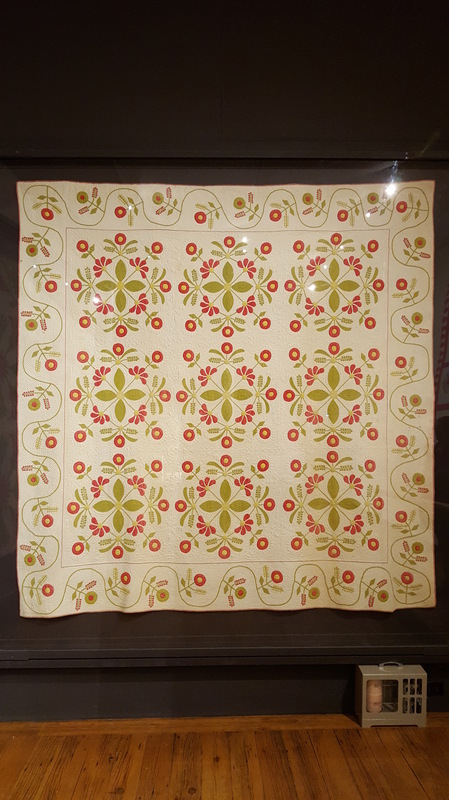 Old time summer quilts often didn’t even have batting. A top and back, that was it. #1- Try different battings a for the effect you want. #2- To keep it real cool, don’t use any batting! Tonight we had a great thunderstorm. Rumbles!! 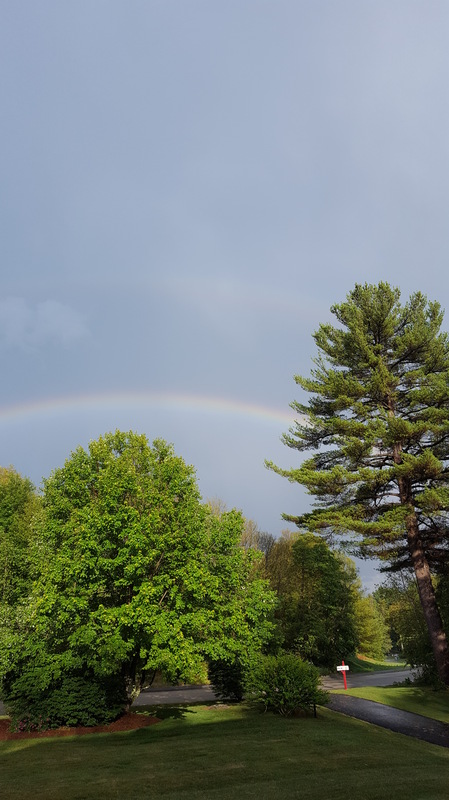 And a beautiful rainbow that turned into a double (my camera barely shows it).